During this past year I have been teaching students about the BabyLock Destiny and all its amazing features. Even though this machine is oozing with crazy stuff, it’s the little details that I love the most. Here is a line up that I recently shared in class of my favorite features. Beam me up Scotty! Not only is this feature super cool & high-tech but it’s functional! This guide is an instant gratification tool with the push of a button. Did you know that you can shift the beam placement from left to right to suit your needs? Yup, you sure can! 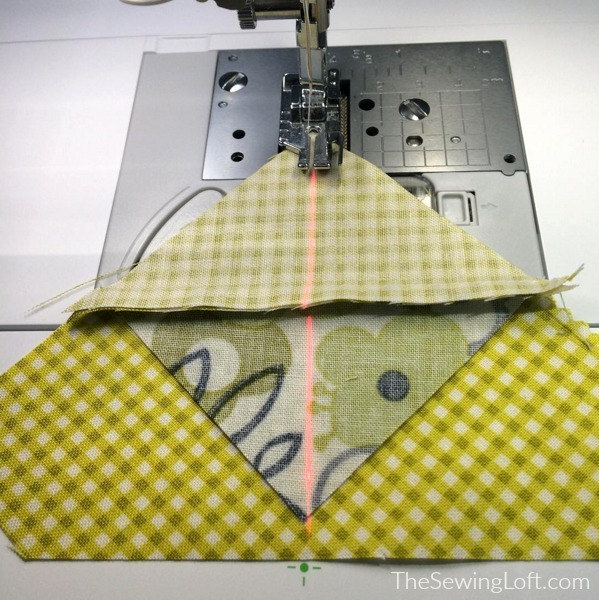 Places to use: Installing zippers, detailed top stitching, half square triangles and more. This feature is on both the Ellisimo and the BabyLock Destiny. With just a simple touch of the screen you can instantly see the exact placement of your needle. 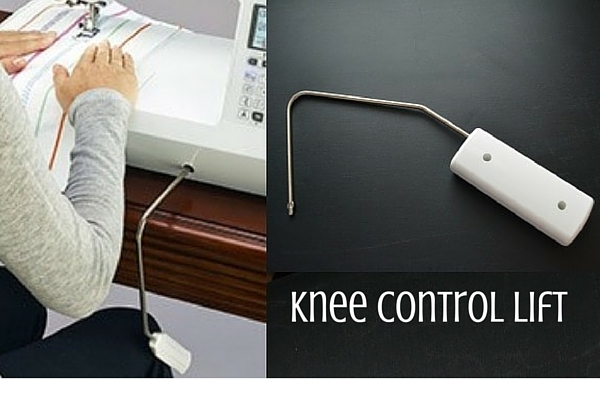 This is incredibly helpful when you have had stitches skip, run out of thread mid seam, and for embroidery placement. How to use: Not only can you see a quick peek of your fabric under the presser foot but you can actually see the needle drop position. 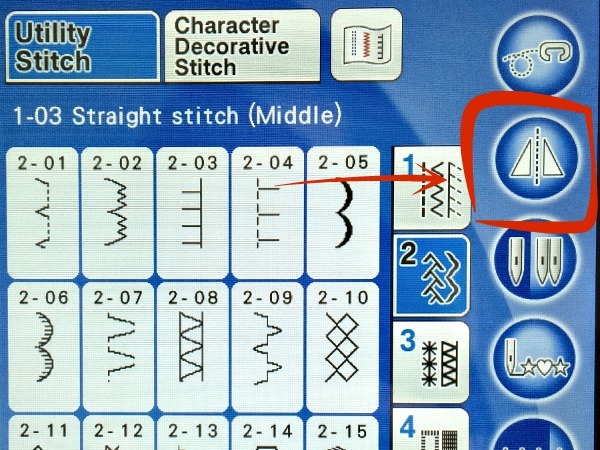 This button is found on your main screen and is perfect for changing the direction on your stitches. Places to use: Change the stitch direction on your decorative stitches like blanket stitch; flip the position of an embroidery design and reverse script. Additional notes: Once selecting the mirror function, you will notice that some stitch boxes have turned gray. These stitches are not compatible with the mirror function and can not be used. Did you know that the BabyLock Destiny has a picture perfect memory? With the touch of the screen you can save your favorite stitch lengths and widths to save time in the future. This special feature has the ability to save up to 5 special settings per stitch. Consider using this feature for special stitches you use over and over again. For me that would be the zig zag stitch, blanket stitch and more. This function is key for adjusting seam allowance. 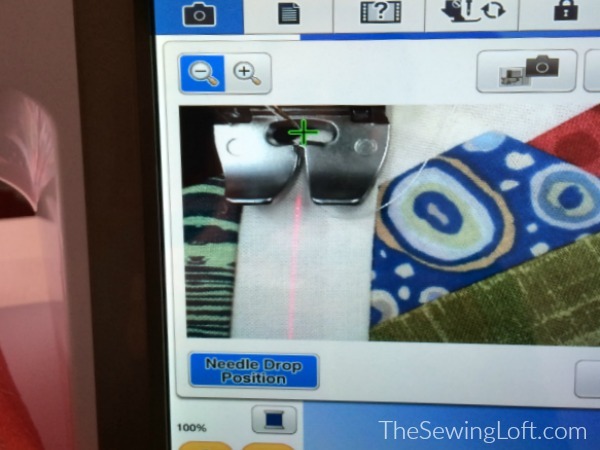 Just like the laser beam guide marker, you can adjust the needle placement on your machine. Pair this with the laser beam and the possibilities for top stitching are endless. 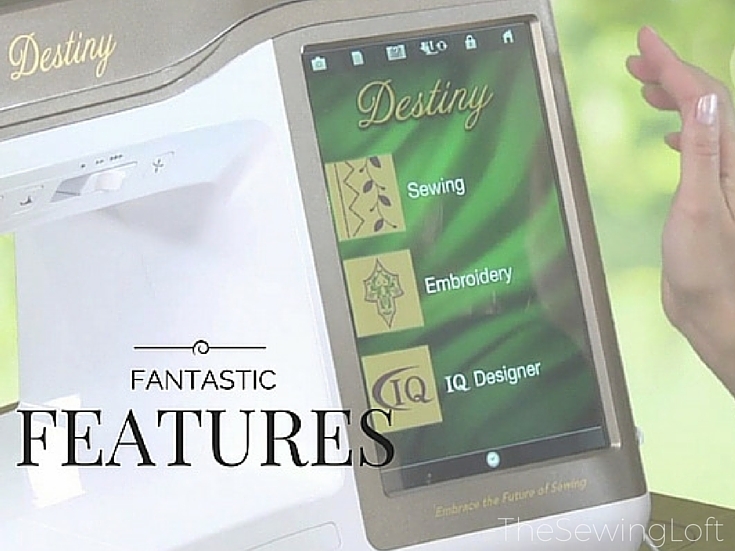 Each sewing machine on the market today has special features that make it perfect for the job at hand. So, whether you are purchasing a starter machine or the Mac Daddy of all machines, it’s important to understand how you will use it. I recommend going to your local shop and sitting with a trained instructor to test the machines on the floor. 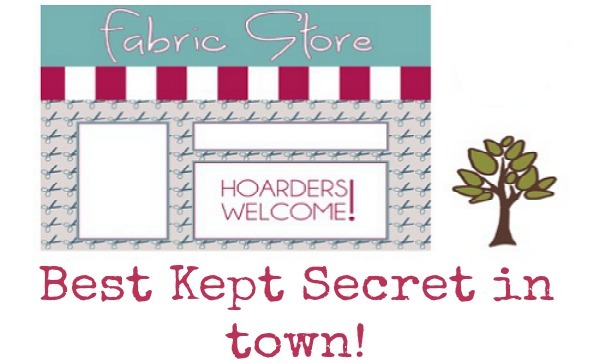 Consider bringing in a few pieces of scrap fabric and stitching before making your purchase. This way, when you bring home your new baby you will be extremely happy. ps- If you are a BabyLock Dealer or fabric shop and interested in having me visit with your clients, I’d love to connect. Click here to learn more. Good information. I wish you would take the time to answer emails or don’t post that you do. I’m glad you found the information helpful and would love to help you out with any questions but do not have any emails from you.